where the prozess of dissolving and merging intoeachother is the most important part of. 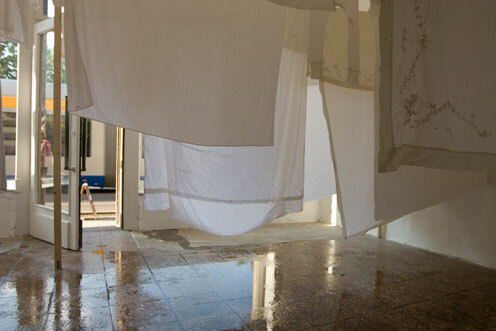 The artists sent their instructions for the installation, and washing powder from four different european countries. Each room inside the Kuhturm has been washed with a different powder.